Quality and service underpin all successful businesses and we pride ourselves in the quality and service we provide to all our customers. We have a track record of long term business relationships with many of our customers, some extending back over seventeen years and all built on a foundation of consistent quality and service. Our products are manufactured in accordance with customer specifications, our internal quality systems and ISO 9001:2008 requirements. We have been assessed and registered against the provisions of BS EN ISO 9001:2008. 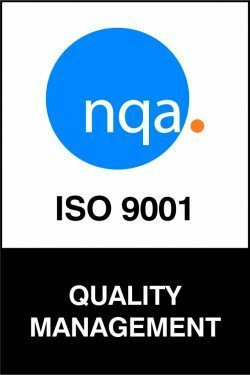 We are regularly audited by our certification body and our customers, and we have an established track record of meeting customer quality expectations. All of our employees are dedicated to ensuring customer quality and service requirements are met or exceeded. Our Quality Assurance personnel assure that each part we supply meets the design specifications and quality needs of our customers.